What did this honor from CASRO mean to you? Pete: This was very special to me, and I understand that CASRO meant it to be a special award. Generally, CASRO does a great job of thanking and being grateful to their volunteer leadership, but this year they went a little further and created some special awards, this being one of them. CASRO is the leading organization of the survey research industry and was founded back in the 80’s by the heads of the leading marketing research organizations, so it is especially meaningful to be recognized by your peers. CASRO has always done a very good job of being neutral territory, creating a place where all the industry players can come together to share ideas and hash out differences. What roles have you played in CASRO? Pete: I have had several roles, but most of them have had to do with the Annual Compensation and Finance Survey. Next to the annual meeting, that survey is probably the most important and most visible service CASRO provides. I have been working on it nearly 20 years, and most of that time I have chaired the committee. That sounds like it might be repetitive, but this is a very competitive and rapidly changing industry, so finance and compensation are among the most critical issues marketing research business owners have to deal with. If you don’t get finance and compensation right, you’re not going to be in this business long! Speaking of change, one of the biggest facing us right now is Big Data. I understand you were on a panel discussing Big Data at the CASRO Annual Conference. Pete: Yes. The panel was titled “The “Mountain” of Change Facing Market Research is in Fact a Mole Hill”. It was an Oxford-style debate which means that attendees got to vote before the discussion on whether Big Data is a Mountain or a Molehill and then got to vote again after the debate, so we could see whether we had convinced anyone to change sides. I was on the side arguing that Big Data is a molehill that our industry can easily survive. Pete: (Laughing.) 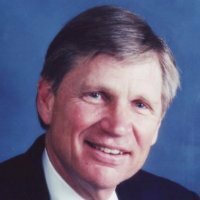 No, we got creamed by the boys from Texas (Dennis Gonier, Executive Consultant, DGC L.L.C. and Chuck Miller, President, Digital Marketing & Measurement). Not only did we not get the memo about wearing cowboy hats and boots, Jerry Thomas (President & CEO, Decision Analyst, Inc.) and I totally lost the debate. Apparently Big Data is a Mountain, and some of the larger firms in our industry are very worried about it. Personally, there have been so many changes in our industry over the years, and we’ve always been able to weather them successfully, that I believe Big Data will be one of those changes. I think before the debate the vote was about two-thirds for Mountain and one-third for Molehill, and after the debate it was about 80% Mountain and 20% Molehill. Yeah, we got hammered! It was a lot of fun. Speaking of fun, what was your most fun marketing research project ever? Pete: I had a project to test EZ-Go golf carts. We set up at a large conference center resort in the Southeast U.S., and we brought in all kinds of golf carts. We were talking to people who manage fleets of golf carts. We brought them in and let them test out the carts, to find out which new designs they liked better, how they would further improve the design, and how they reacted to the proposed pricing. I love to golf so that was a blast for me – and we got some great insight for the client! That does sound like a fun project. For you, what makes a great client? Pete: I have been lucky to have a lot of great clients. For me, a great client appreciates the good work you do for them. Sometimes they expect a lot of service, but that is only fair. A great client also does the work ahead of time to define the project objectives and the bones of the project. They understand what information they need and what they’re able to get from the research. They manage their internal client’s expectations, reducing a lot of anxiety around the whole project. The best clients I have ever worked with are well-respected in their companies, and they manage to stay above the politics and back-biting. So they don’t expect you to sugar-coat the results or make a silk purse out of a sow’s ear. They are honest, straight shooters. They tell you when you’ve screwed up, and they listen to your side of the story and don’t hold grudges. What advice would you give someone who is thinking of making a career in Marketing Research? Pete: I have done a lot of this over the years, and in fact, my own two kids are both in Marketing Research and doing quite well. First, I would tell them to go through the MMR program at the University of Georgia. I feel it gives the best and most thorough background in all the tools and techniques needed to be successful in Marketing Research. So whatever direction their career takes them in, they are prepared for it. 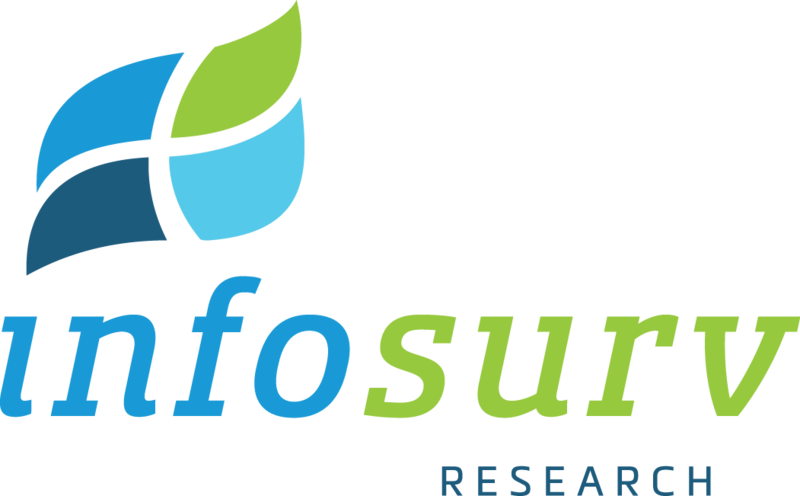 Infosurv Research wants to be “Your Research Department.” What does that mean to you? I understand you’re working on a new technique you’re calling a “simple conjoint.” What’s that about? Pete: Well, it’s an approach I am testing that makes it more possible to complete conjoint in a telephone survey. As you know, it is difficult to use the conjoint questions in a telephone interview because of the complexity. Without actually seeing the options, it is just too difficult for the respondents to answer. Nonetheless, there are times when you must collect the data by phone. So “simple conjoint” is an idea I have been kicking around for a while and we’re just going into the field to test the solution. So that is probably better left for another blog! But I am very excited about the possibilities and will be able to share more about it soon. Okay, Pete, we’ll look forward to hearing more about “simple conjoint.” Thank you so much for taking the time to share with us – and congratulations again on your leadership award from CASRO!